The coloured sidebar highlights the content. CV template to download "Affirmative"
The Affirmative Resume does a good job in presenting your professional experience and skills! This resume template features a perfect selection of colors, shapes, and text that create an executive-CV that is perfectly applicable to any job type and is ideal for applicants that have a solid set of job qualifications as all the relevant points in your CV are clearly presented. Meanwhile, the various colors and shapes used in this resume lend greatly to its over-all effectivity, which is sure to land you that job! How to can you make your CV more attractive? 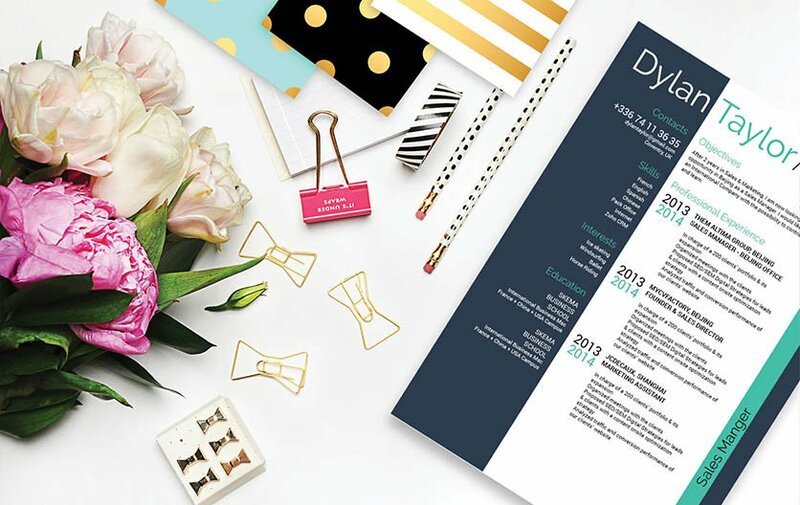 All you need is clear and comprehensive resume design. That resume of yours is sure to land you that dream job! 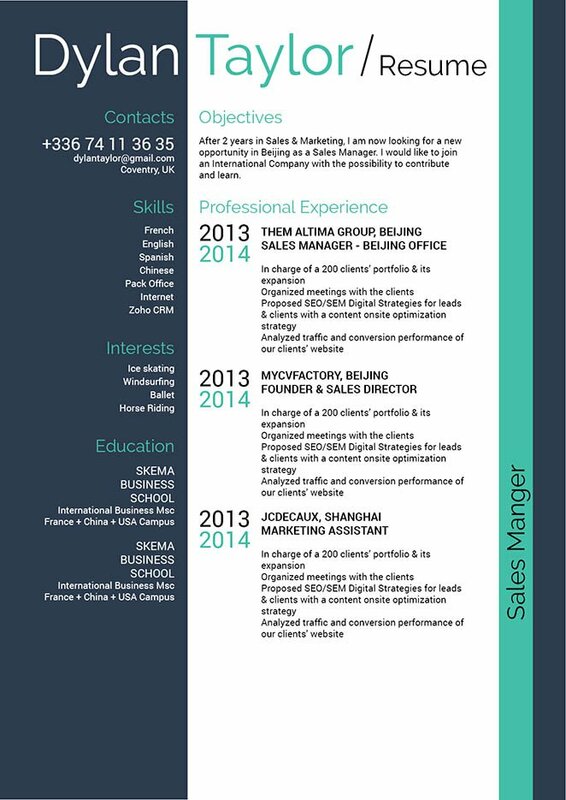 One of the key factors in making an effective resume design is its over-all lay out and format. Typically, resumes are reviewed for 10-30 seconds, so it's important that you format your resume in a well-organized manner. To achieve this, use professional looking fonts such as Calibri or Helvetica, choose a font size between 11 and 12, and use italic/bold font styles to help guide the reader's eyes along your resume. Make good use of bullets to attract the attention of your reader to the key points of the CV. And finally, utilize headings and subheadings to give your resume a logical format.